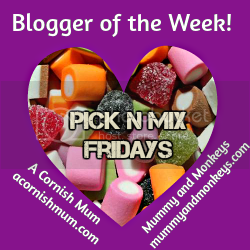 Welcome to Mummy Mondays! 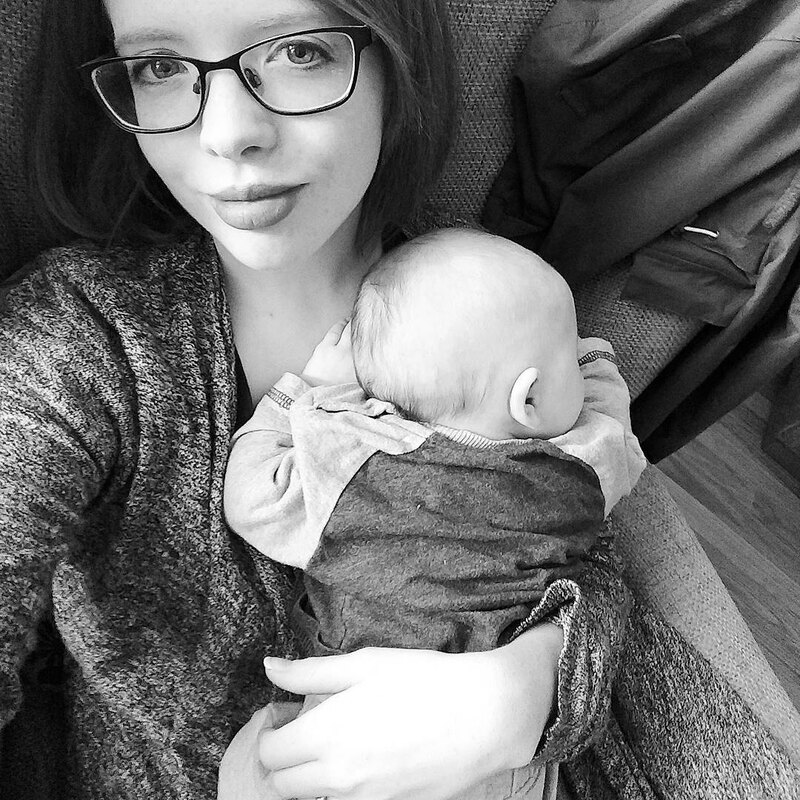 This is the start of a series of posts, on Mondays, that will be (hopefully) quick, snappy, and offer some sort of review/instruction/recipes, or something else vaguely useful to other Mums. If any of you send your children to nursery, you will probably be able to tell me how spectacularly dirty and messy they get while they're there. That's because nursery assistants know how important it is for children to enjoy activities that involve all their senses. When babies stick their hands in mud for the first time, when they slam their feet down in water and feel it splash up their legs, when they wave their fingers through blades of grass, their brains are working overtime, making vital connections. They are learning about gravity, about force, about matter and texture, colour and smell. They are learning how their bodies work, and how they can control their bodies to manipulate things around them. 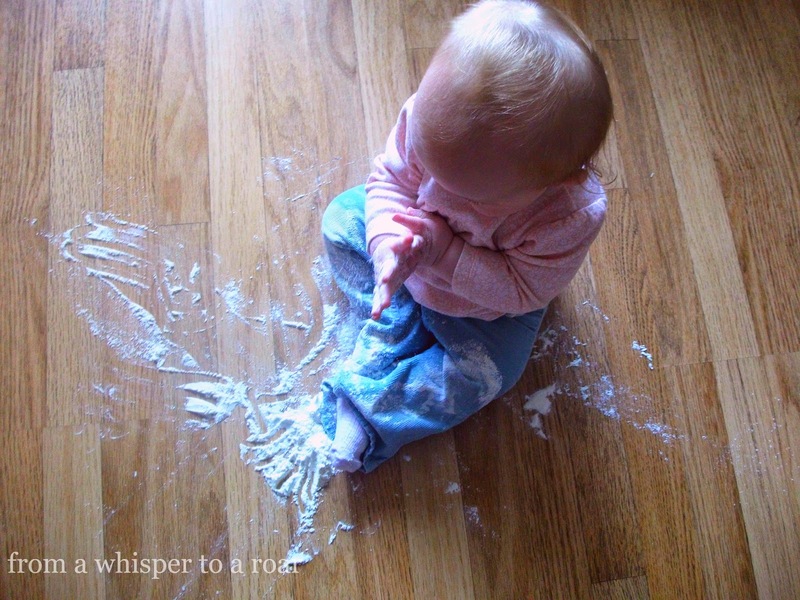 Messy play is a really good way for babies to do that. And it's super cheap! No expensive educational toys involved. It's like a free brain boost for little ones. Sometimes, however, I look at the array of amazing looking messy play activities I have collected on my Pinterest board and think: I just can't deal with the preparation and clean up. Boring safety related notice: obviously you need to supervise your baby at all times when doing messy play stuff. I don't know why I even need to tell you that. Sorry. 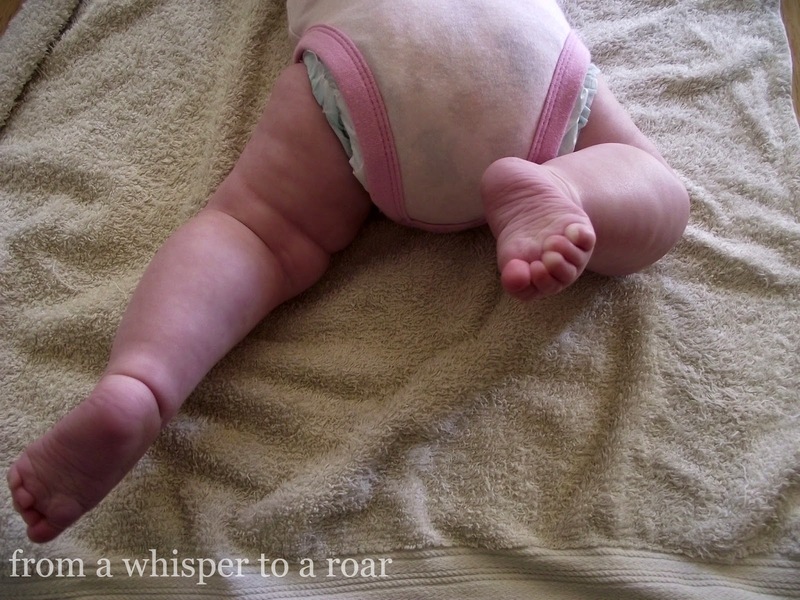 Also, all of these are even easier to deal with if you strip baby down to nappy first! Towel + baking tray + water. If you want to get fancy, maybe add a big measuring spoon or colander to scoop and pour with. Jellybean particularly loved this when she was around five months old and a bit more able to move. Splashing = hilarious. 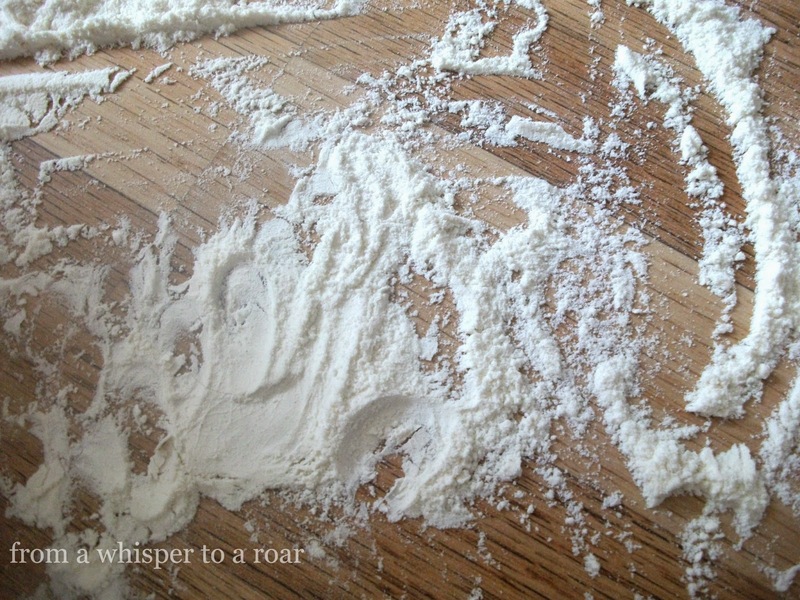 Kitchen floor or splashmat + flour. Jellybean still enjoys this now that she's one. 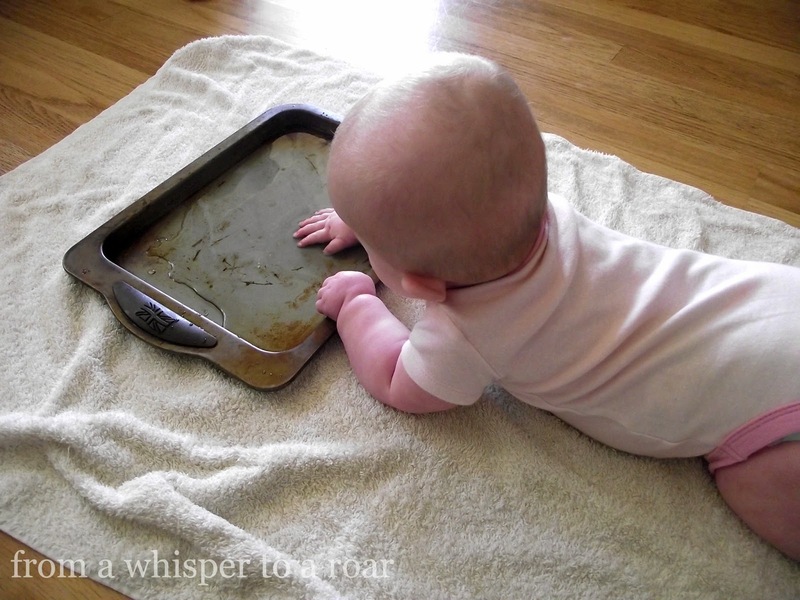 She wiggles her little fingers through the flour and claps her hands together to create big sprays of flour (lots of giggles with that, too). Afterwards I either sweep up or get the little handheld vacuum out (which, by the way, is an awesome thing to own with little ones around). Then I give the baby a brush down while she wiggles like a little squirming eel and shrieks at me stands beautifully still. 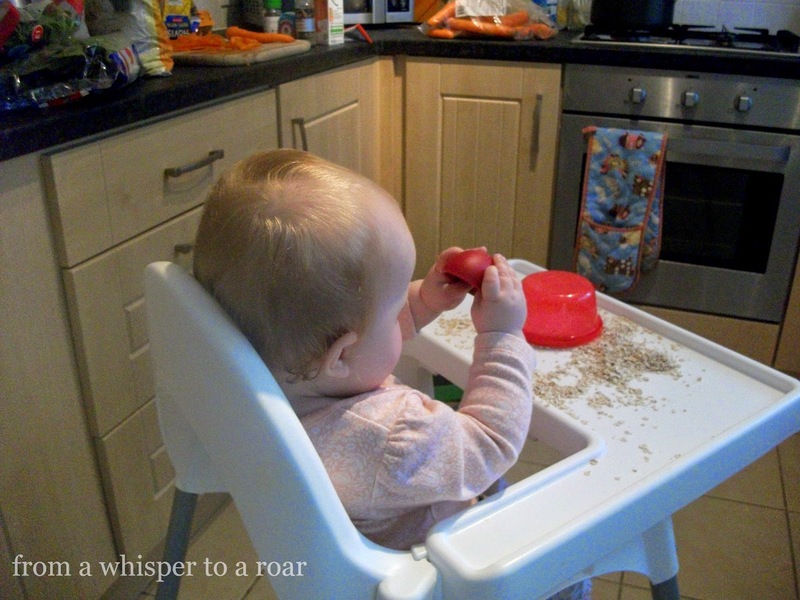 This is a good one to keep babies occupied while you try to cook/gulp down a coffee in relative peace. I'd recommend this once you're past the excessive mouthing/will try to eat anything stage. 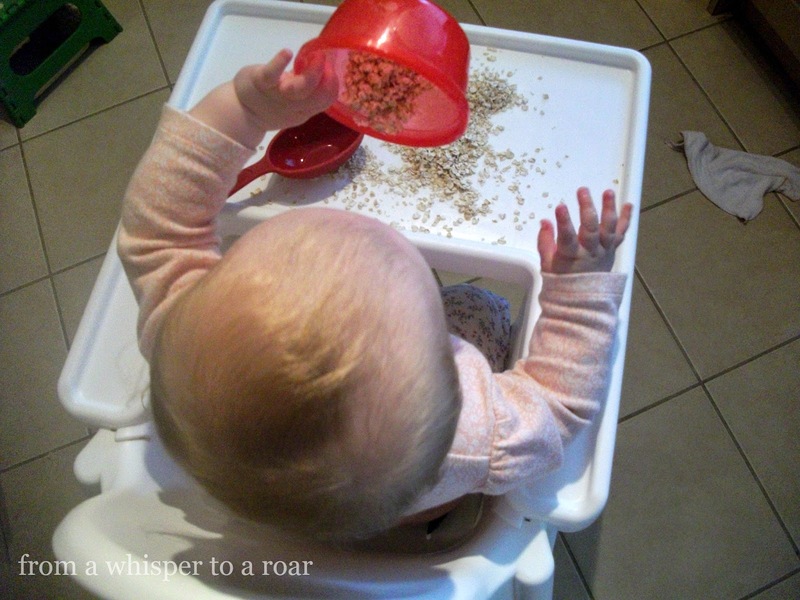 Super easy to clean up and handy for babies who are obsessed with trying to perfect their pincer grip by picking up the smallest things imaginable. Or babies who are obsessed with emptying and filling things up again.